In all over 2,100 comments were received. The vast majority (85%) of respondents were ‘very supportive’ of the concept – with nobody saying they were ‘strongly opposed’. Walking, riding, watching wildlife and finding somewhere to enjoy peace and quiet were the most frequently reported wishes, with water-based activities, particularly rowing and canoeing, also popular. 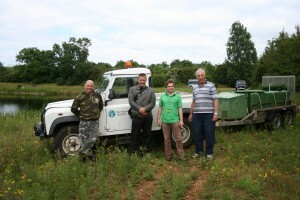 Working in partnership with the Environment Agency and local Blunham Angling Club to restock lakes with fish after restoration from mineral extraction. The partnership currently (2009/10) driving the development of Bedford River Valley Park is a strong one; each organisation brings a wealth of experience and an impressive track record to the project. Although the challenge of creating Bedford River Valley Park is large, the combined expertise available means that BRVP can become a reality and will offer something fantastic to the people of Bedford and the surrounding area in the future. In the future Bedford River Valley Park will be delivered by a wide range of partners, from local authorities and organisations such as the Forest of Marston Vale Trust, to sport and recreation clubs, local people and special interest groups. The creation of the Park will happen up to 2020 and beyond as the process of current and future sand and gravel extraction moves towards restoration and the creation of new areas of quality green space. Projects will only be embarked upon if they are sustainable, and have funding secured for both their delivery and on-going management. 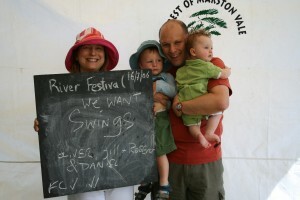 Capital and revenue costs for individual projects will come from a mixture of public and private sources and the Forest of Marston Vale Trust is currently exploring opportunities for involving private sector partners in the creation of the Park. 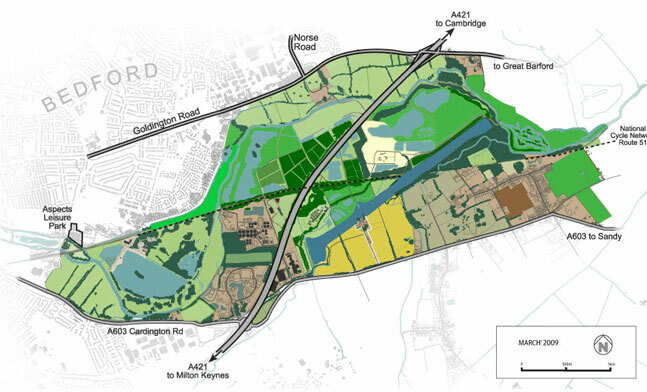 By 2021 Bedford, Kempston and the northern Marston Vale area will have gained an additional 19,500 dwellings. Green open space, close to where people live and work, is vital to provide the many social, environmental and economic benefits expected of sustainable, modern communities. 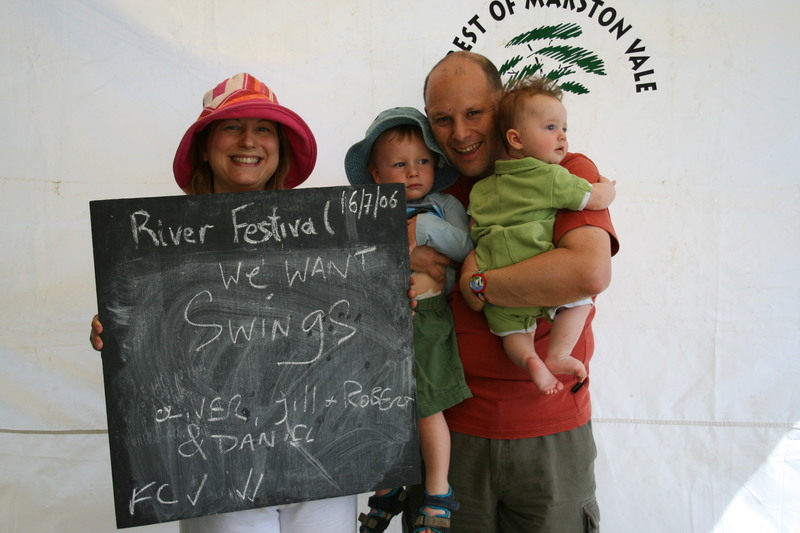 The concept of creating the Bedford River Valley Park has existed for over 10 years and is endorsed by a broad coalition of organisations. The Department for Communities and Local Government (CLG) supports the vision for the Park and financed the early stages of the project through its Growth Area Fund, contributing £2.3 million for land purchase, consultation, design work and access improvements. 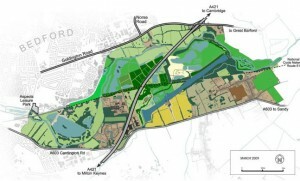 ‘When development opportunities arise, within the area defined on the Proposals Map, the Borough Council will seek the creation of the Bedford River Valley Park as an area where opportunities exist for landscape enhancement, nature conservation, recreation and increased public access whilst protecting sites of acknowledged archaeological importance’.